Time is a precious resource. There is never any of it to spare during the working day; it zips past at weekends at super speed and creaks by during meetings and dental appointments at a glacial pace. All this means there are various online sites and applications that I don’t have time to do anything with; or, if I do have the time, I am in an Inappropriate Place, like a Coffee Nation franchise (with 20 minutes wifi only, the tightwads) or on a train. So I spend a lot of time saving things to my bookmarks with tags like ‘must try’ or ‘to do’ or ‘looks good’ that sit there untouched for, well, some time. Tonight I inched a couple of steps in the right direction – I opened my bookmarks and had a sort through. There were several apps launched as the Next Big Thing that had quietly died without ever becoming even the Next Little Thing, others than I had just incorporated into my daily use without conscious effort, and a few that I have as much chance of ever understanding and using as I do of flying to the moon. But there were also several apps and websites I know I should make the time to try out properly. Some of them look very complicated to set up but I suspect a bit of planing at the outset will, ultimately, be rewarding. 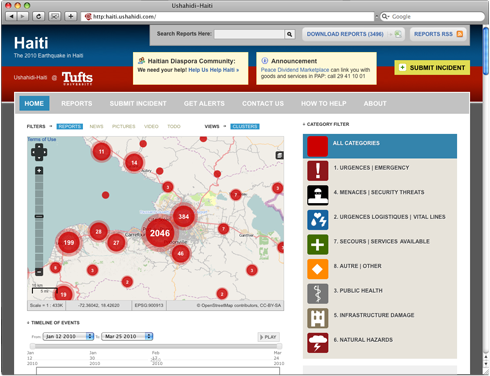 Crowdmap – Real time mapping of crowd coverage of events/incidents. I signed up ages ago but have done nothing with it since other than create one map I later deactivated. Needs a project of some sort and I will have to get my head around what that might be. The examples on the site are all about disasters and natural incidents but I had hoped to use it for the Mathew Street Festival coverage. Events conspired against me on that one but it’s definitely an app for the future. Amplify – seems to be a cross-posting content clipper with aggregation, social media and multimedia integration. You get your own email address to post through and the microblog function gives you 1,000 characters and there’s a blog platform as well. Beyond joining up recently and adding some Twitter friends, I’ve done nothing with it. Worthy pursuing though, I feel. iMacros for Firefox – installed, running merrily away in the background of my browser. I do NOTHING with it. I couldn’t even remember what it was for, but as it was filed in my ‘very useful’ bookmarks folder so I’m pretty sure it is one I should have a proper play with. Basically it does this: “It sits in your Firefox toolbar, and lets you record tasks whether they are oft-performed web development tasks, or simple tasks such as opening a series of tabs you use each day”. So it’s a time saver – once I have the time to use it. Outwit – again, installed and sat at the top of my browser, a constant silent taunt to my inability to just knuckle down and learn how to use it. 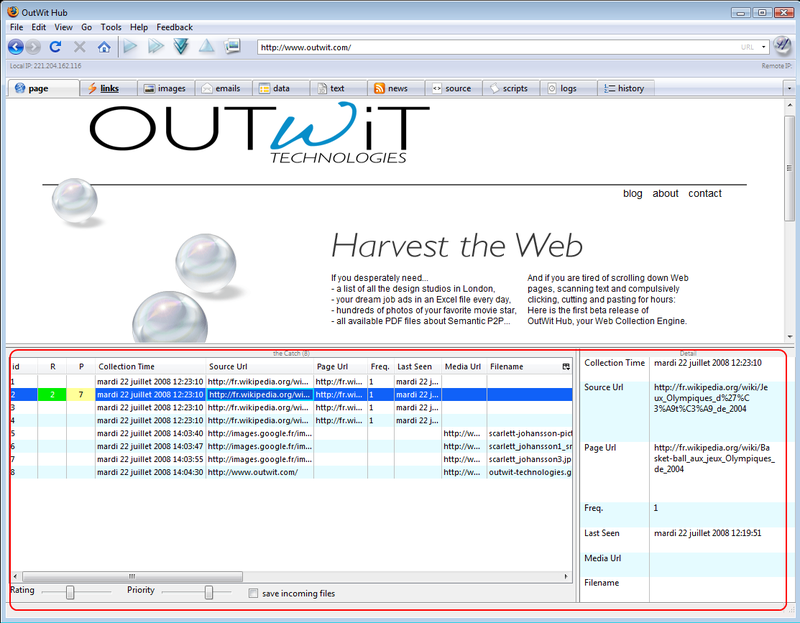 Outwit trawls and collates content so you don’t have to; download its Hub (general content) Images or Docs and it dozens of data recognition and extraction functions fitting in a Firefox extension. TimeFlow Analytical Timeline – a visualisation tool for temporal data, it does everything from plotting events over time on a scrollable, horizontal timeline to allowing users to aggregate data by headers in the data sets, offers various views and seems, in short, to be useful. The OS Open Space API – need I say more? 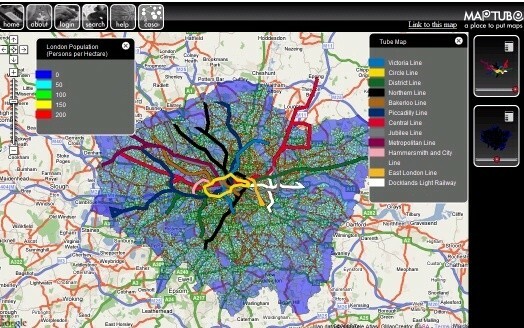 Maptube – for viewing, sharing, mixing and mashing maps online. I did actually use this (at least a year ago) and it is NOT complicated. But it does suffer from not being something I particularly connected with and so I forget it’s there as a content creation option. Again, one for a project I guess. deviantART Muro – Digital drawing programme that also has collaboration options built in. Loved this when I did a quick test but never went back to try it again. Must go back and explore further. Simile – In terms of welcoming the new user, a site with the sub-heading Semantic Interoperability of Metadata and Information in unLike Environments is not exactly reaching out with open arms to love you. But wait! there’s more; Simile also “seeks to enhance inter-operability among digital assets, schemata/vocabularies/ontologies, metadata, and services. A key challenge is that the collections which must inter-operate are often distributed across individual, community, and institutional stores. We seek to be able to provide end-user services by drawing upon the assets, schemata/vocabularies/ontologies, and metadata held in such stores“. On reflection, I now know exactly why I saved it but never did anything with the site. However, it is a really useful repository of myriad applications and addons, so I will be revisiting it in the future. With my dictionary. Soup – blog/aggregator/pinger. On revisiting it now, I don’t understand why some people rave about Soup; still, at least that’s one I don’t need to worry about finding the time to learn more about. Unless you know differently? Socialmarker -a pan-site tool for adding web pages to social bookmarking and social news sites. There is a Firefox addon but since mine currently include Share on Posterous (occasionally used) Share on Tumblr (rarely used) Import to Mendeley (never used) and Share on Cliqset (used once to test) I don’t think it’s going to make any difference if I add it. However, I do think this is a site worth me spending a bit of time using before I decide whether or not it’s a keeper. Stripgenerator – (below) used it once twice, loved it. Never had sufficient time or wit to return – but I still think it’s a great site and one I should use more. Ditto Xtranormal. * The quote is, of course, Douglas Adams. I have the same issue, always popping things into Delicious but never have to have a proper play with them. The trick is knowing they are there, understand enough about them and then pulling them out the bag for certain events/stories. As you alluded to with the Matthew Street Festival – which would have been an awesome thing to use Crowdmap for.